As outlined by the National Heart, Lung and Blood Institute, approximately 12 million adults are currently diagnosed with Chronic Obstructive Pulmonary Disease (COPD), and it’s expected that another 12 million may be living with the disease without even knowing it. It’s also worth noting that COPD typically occurs in middle age, with smoking as the biggest risk factor. Consistent exposure to dusts and chemicals also presents a high risk factor. If someone you love has been diagnosed with COPD, living healthier can make a difference in symptom severity. 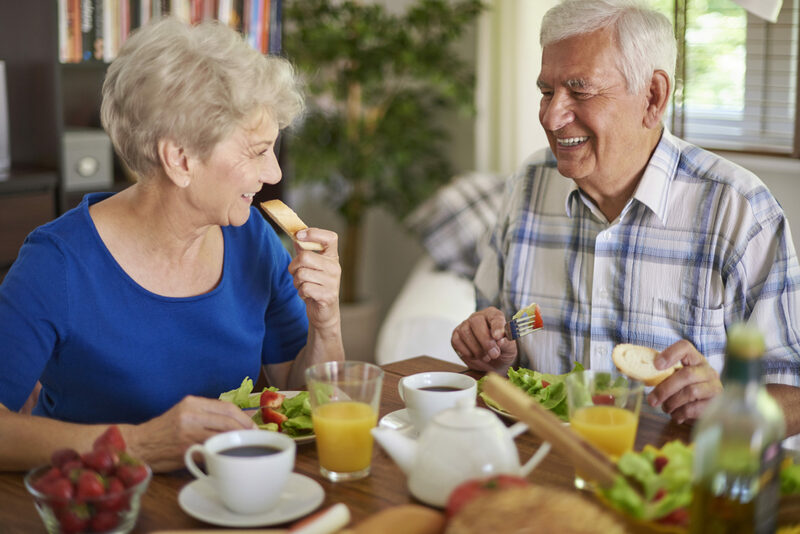 As a matter of fact, eating a healthier diet can make those with COPD feel better, enhance the level of energy needed for breathing, and fight off chest infections. Don’t skip breakfast. 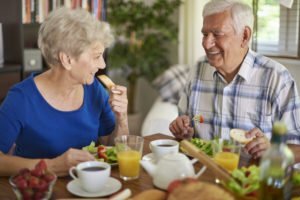 For those with COPD, breathing burns ten times as many calories than in a person without COPD, so starting off your day with a nutritious breakfast can give you the calories and nutrients required for the day. Consume more potassium. COPD patients on diuretics sometimes require more potassium. Try tomatoes, oranges, potatoes, and bananas to get the healthy potassium you need. Drink plenty of fluids, but hold the caffeine. Fluids help keep mucus in the breathing passages thinner and easier to clear. Yet caffeine can interfere with some medications and may cause restlessness, so it’s best to stick with non-caffeinated liquids. Steer clear of gas-inducing foods. Foods like carbonated beverages, beans, and fried foods that produce gas and bloating can make it more challenging to breathe. Try to refrain from consuming these types of foods to avert COPD symptom flare-ups. Sodium can contribute to water retention, which makes it difficult to breathe, so it is best to abstain from foods that have greater than 300 milligrams of sodium per serving. Salt-free spices like garlic, curry, oregano, basil, onion, parsley, rosemary and lemon juice are all great alternate possibilities. Hired Hands Homecare’s Petaluma area home care experts are skilled in working with COPD patients and their families to help manage symptoms and ensure that the home is a safe environment and free from irritants. Our in-home care helps sufferers manage COPD with education, exercise, nutritional support, psychological support and coping skills. Call Hired Hands Homecare today at 707-575-4700 or contact us online to learn more about managing COPD symptoms. Serving Sonoma, Petaluma, Napa, and the surrounding areas, we’re here to partner with you to improve quality of life for your senior loved one!